The SHOWCASE2016 Live Auction is a great way to support public arts education while shopping for fun, unique experiences available to the highest bidder. We invite you to be a part of the action! By bidding items like excursions, weekend get aways at top-rated resorts with high end entertainment, you can feel good about splurging because you're supporting students who are talented artists and aspiring leaders. Check out these LIVE AUCTION ITEMS and get ready to bid on MARCH 14! Private Wine and Gourmet Cheese Tasting for Six! ​​This incredible excursion will transport you to the intimate wine caves of Sonoma County's Schug Carneros Estate Winery, just 10 minutes' drive from the town of Sonoma. After a stroll through the vineyards and this lovely winery building, tucked into a verdant hillside, your private tasting will be guided to underground barrel caves. During your stay, your host will share winery history, as well as information about the Carneros region and an overview of Schug's winemaking techniques. And don't miss the 360 degree view behind the German style post-and-beam building, on a clear day you can see as far as Mount Diablo! Two VIP passes to any KFOG Playspace Performance! ​Get up close and personal access to your favorite musical artists at the KFOG Private Concert performance of your choice! ​Previous Playspace artists have included Train, Ben Harper, Chrissie Hynde, Death Cab for Cutie and many, many more. The highest bidder of this item will get to choose their own concert experience! Two Night Stay at Lake Tahoe's Blue Jay Lodge! Enjoy one of Lake Tahoe's best upscale, beautiful and pet-friendly homes just a half-block walk to the water's edge at Carnelian Bay, famed for its annual Concourse De Elegance Wooden Boat Show. ​This beautiful home backs up to Tahoe National Forest and features 2,000 square feet of living space, with all the amenities you could ever want. With four bedrooms, a pool table, foosball and air hockey, the home is the perfect get away for one or two families. 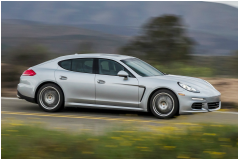 A Porsche for the Weekend! You've always dreamed of owning one...now you can see what it's like! 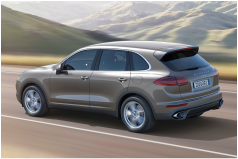 Your weekend begins with the choice of a 2016 Porsche Panamera Sedan or Cayenne SUV, you'll enjoy having use of one of these beauties from Friday evening until Monday before noon. Go wherever the road takes you! Take the Chair Right From Annie! Countless hours have been spent in the MSA office sitting in the one and only chair of the heart and soul of MSA itself — our very own Annie Hartje. Just think of the major decisions made, parents welcomed, students directed, teachers supported, events planned...you get the idea. The term "you can't take it with you" is spot on as this one of a kind office chair will not be able to accompany Annie on her upcoming adventures — given this, she is donating it to one very lucky winner! 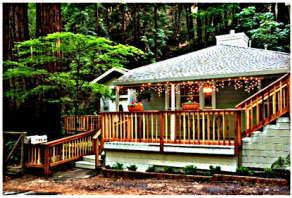 ​This Rio Nido Cottage is a lovely two bedroom home nestled in the redwoods of Rio Nido canyon is just a half mile from the Russian River. With a sofa bed in the living room, this lovely home has room for four-six guests, plus a deck with cozy chiminea, a hot tub, and wood burning stove in the master bedroom. An ipod dock, DVD players, cable TV and Wii, plus canoes for outings on the river, round out your entertainment options. And dogs are welcome! A Charming Cottage on the Beach at Stinson is yours for the Weekend! The perfect staycation is waiting for the highest bid! Avoid the traffic hassles of getting to popular Stinson Beach with your own cottage just steps from the sand. Enjoy a weekend of swimming, long strolls in the sand, barbecues and stunning sunsets! Do you have a Novato High School Senior? Enjoy a stress free graduation this June! You'll be able to leave your car in a reserved parking space, enjoy the show with your premium view from four seats reserved just for you in the stands. This package is truly priceless - don't miss this once in a lifetime opportunity!